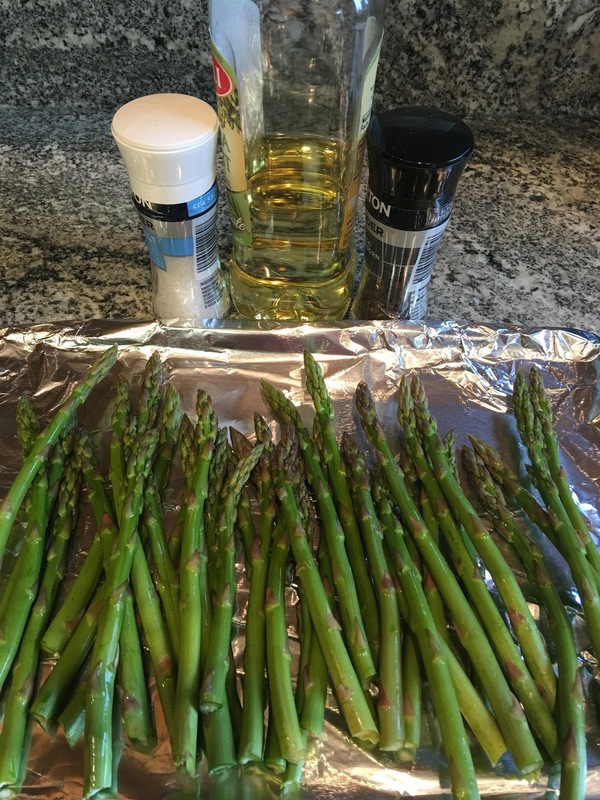 This is a ridiculously easy and absolutely delicious side dish. There is very little prep and won’t hurt the budget. What a great way to add some green into your meals. 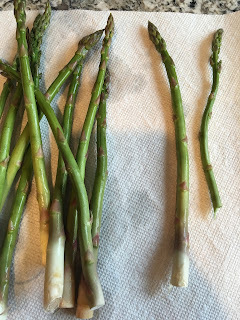 Pre-heat oven to 425 degrees F. Was 1 bunch of asparagus and remove woody ends (grab asparagus at either end and bend until woody end snaps off). 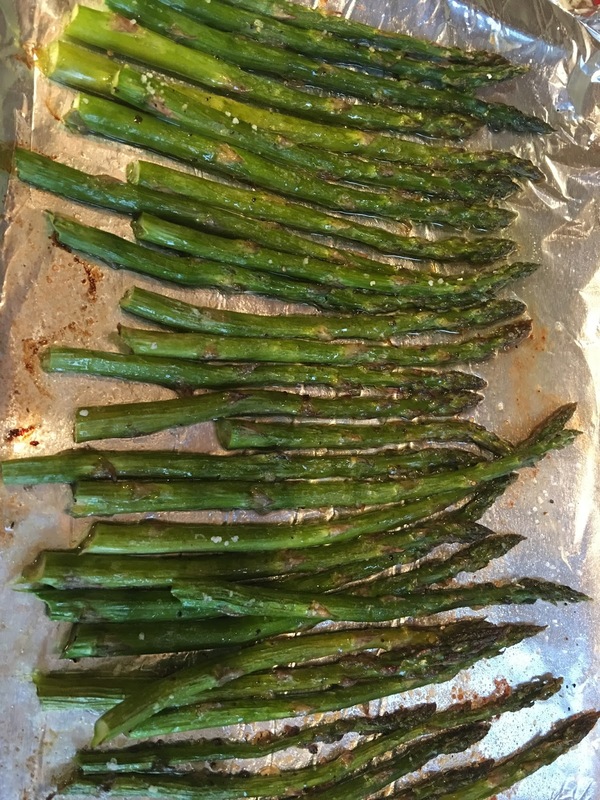 Line baking pan with aluminum foil. Place asparagus on pan and drizzle with olive oil. Sprinkle with salt and pepper and toss with your hands. 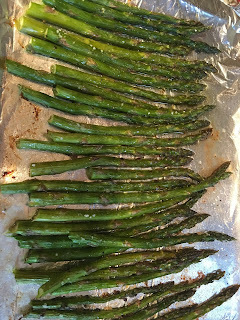 Arrange asparagus in a single layer on the pan. Bake in pre-heated oven for 15 minutes or until just tender. What's your favorite green side dish? I also use my toaster oven instead of the regular oven when it is hot!